Now is a great time to register for the Biotechnology Vendor Showcase™ Event at UC San Diego. This show will happen on August 23, 2012, and we've extended the print deadline. If you register by this Thursday, (August 9th), you can still take advantage of the advertising and publicity. UCSD is still our largest event and there’s no better place to make those connections than the UCSD Biotechnology Vendor Showcase Expo. We have been serving the San Diego life science community for almost 19 years and this expo is truly a popular one with researchers and decision-makers. Last year over 700 researchers attended and 40% of the participants were professors, post docs, purchasing agents, and lab managers. 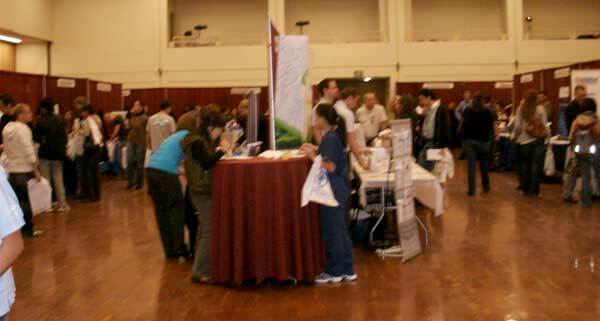 Registrants at this show were attendees from 66 separate departments. See more on this event on our brand new UCSD mainpage. We have room for you at this show and if you book soon we can provide you with optimal placement and visibility. You can order online here and demonstrate your new life science products to researchers on campus.